The first round of JSLV clothing has arrived with much more to follow!!! 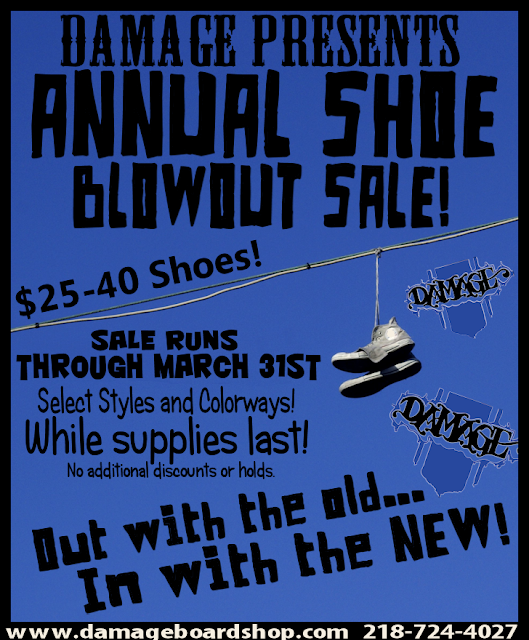 Stocked up with some good looking VANS shoes in all the size you need! Real / Krooked 40 Buck Decks! 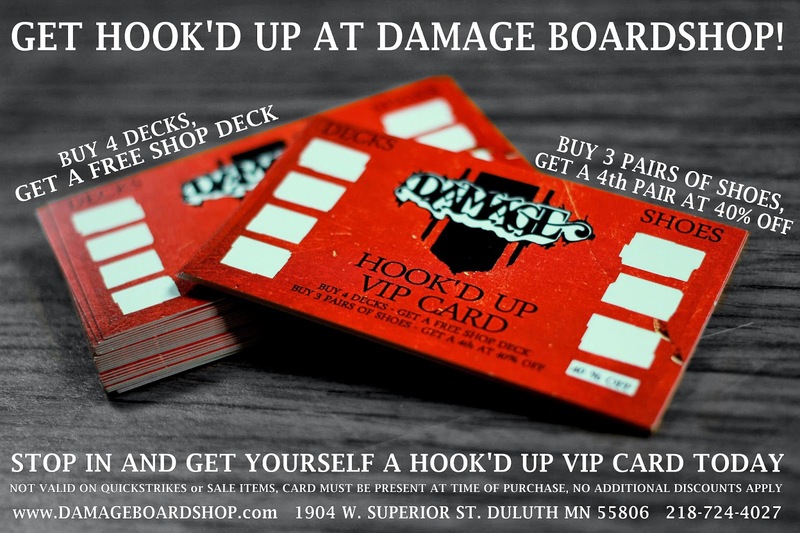 are stocked up here at Damage! We only got a handful of these Limited Decks and trust us, they will go fast. If you want one, grab one today! TGIF #37 - Winter w/ Ryan Leege! 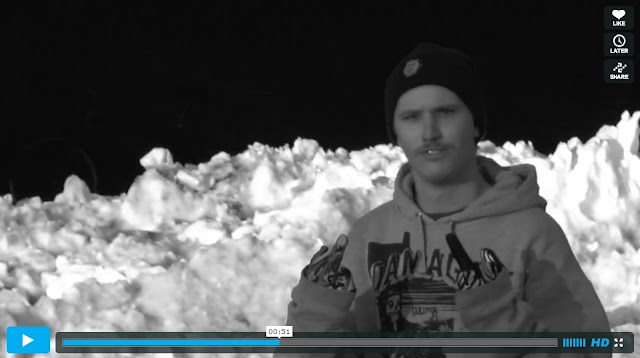 "Ryan and I bundled up this week and went over to Superior Skatepark to have a little session! Ryan has spent all of his lunch breaks shoveling out this little area so we could film this. Enjoy!" Brian Wilson and Friends @ DU LAC! Signal with another great Every Third Thursday! are now available at Damage for a special price. Nike Team Edition in Black / Swan is re-stocked at Damage. Supra x Deathwish Limited Edition! 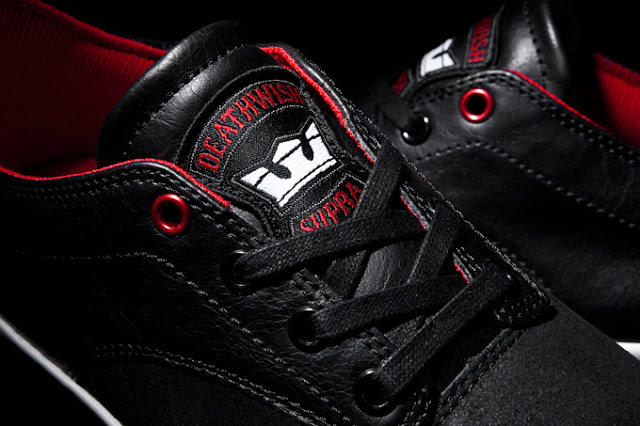 SUPRA is pleased to announce the release of the new team-inspired Pistol low top with a limited edition collaboration with legendary skateboard hard goods company, Deathwish. The Pistol is a classically designed low top skate shoe built on a vulcanized sole. The low height of the silhouette, the short eye stay, and minimal composition allows maximum agility, and reduces weight. 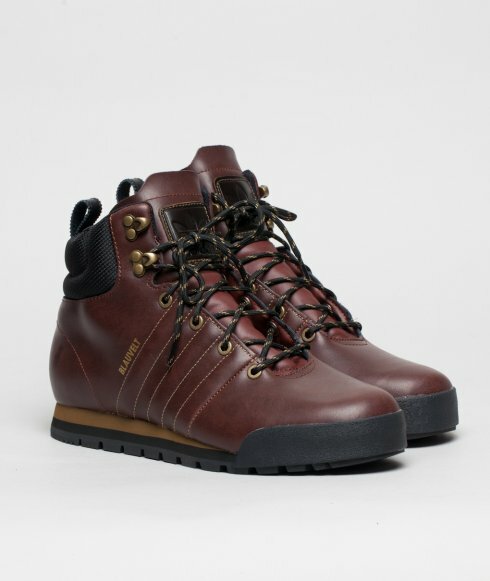 A durable vulcanized sole provides excellent traction and superior board feel. 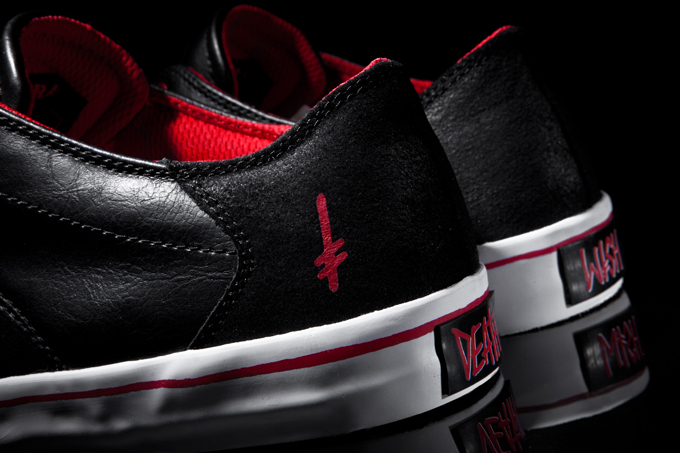 The black and red color story of the Deathwish Pistol is complemented by designs inspired by motorcycle clubs. 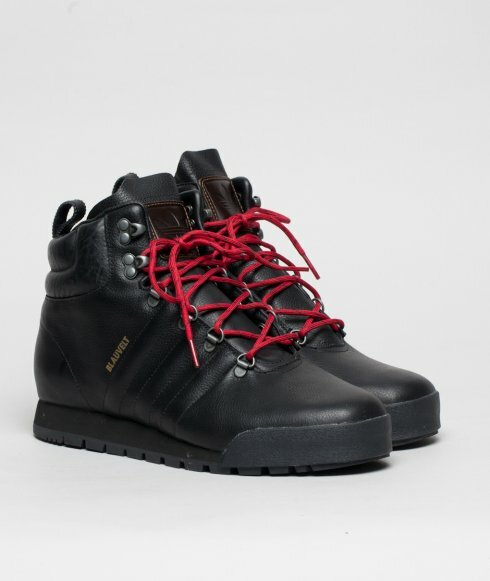 It’s made of black waxed-suede and black distressed-leather and it’s built on a red vulcanized sole with white foxing and a red pinstripe. 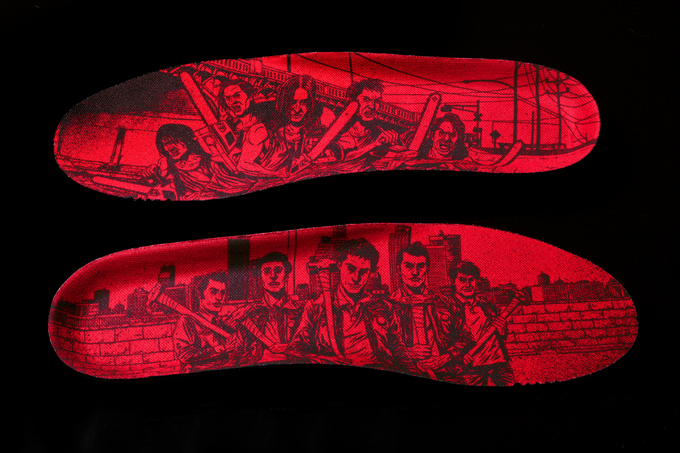 Other features include a SUPRA / Deathwish patch on a leather tongue, screened Deathwish logo on the heel, “DEATH” and “WISH” heel tabs, red anodized top eyelet, black waxed laces, red mesh lining, and custom Deathwish sock liner art (featuring Erik Ellington and Jim Greco). Limited to only 10 pairs per shop. 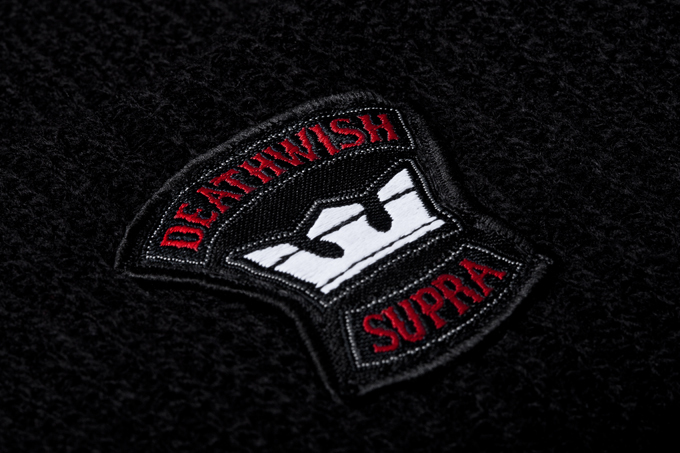 The Deathwish Pistol also inspired a custom, black coach’s jacket. Get your hands on these before they're gone for good. with the Glue Factory folks. Props to Dan Jackson for putting together a fun event. in the classic shop hoods! TGIF #36 - Throwback Park Footy! You guys are in for a treat this week! featuring Steve Seitz, Deeter, and Den Davey! This is some early Encounter footage right here folks! Enjoy. 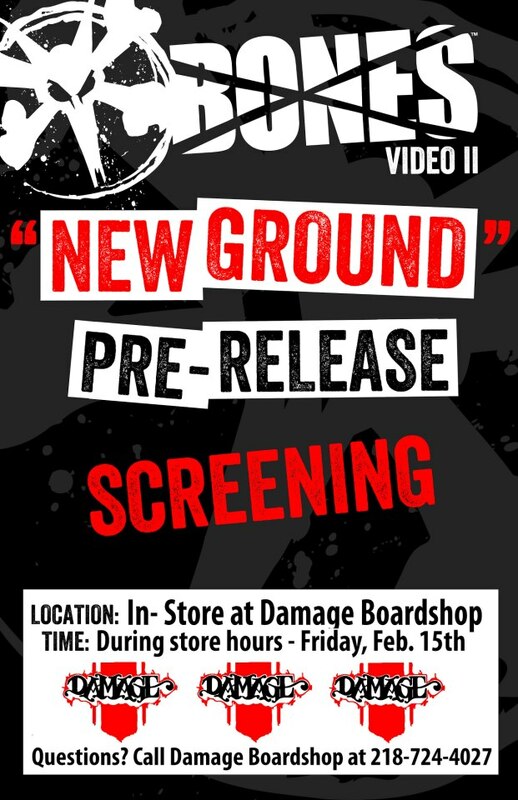 In-store showing all day Friday the 15th of Bones latest video "New Ground." Random giveaways throughout the day!!! 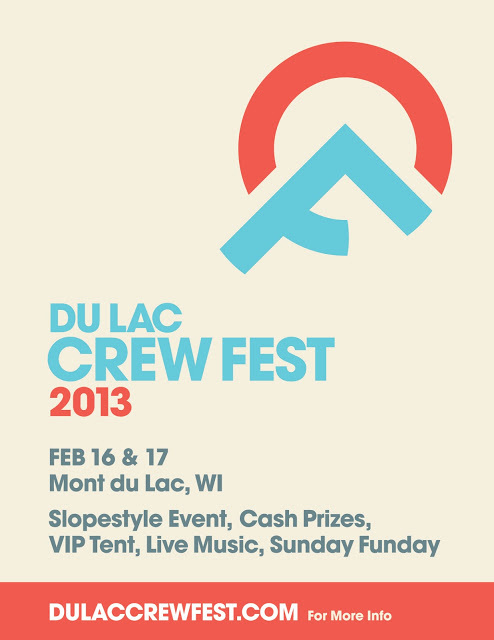 Busy weekend starting tomorrow with Freestyle Friday and continuing Saturday with Crew Fest!!! For more info click on the side tabs of the events. 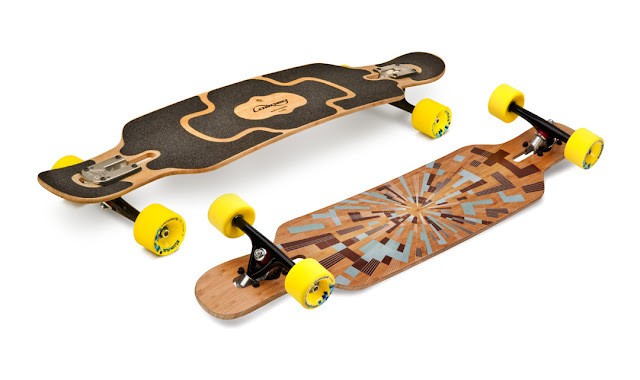 The latest and greatest from the folks at GLUE FACTORY skateboards! 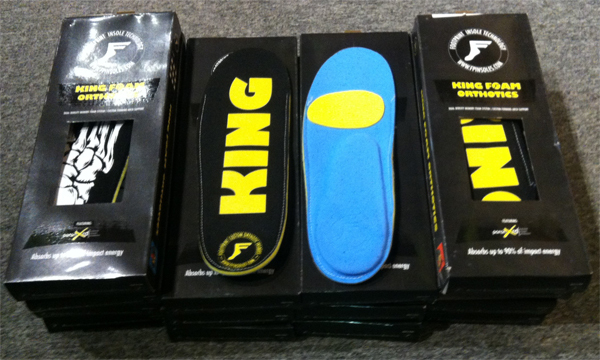 Keep your feet, back, and knees feeling great with a pair of Footprint's 95% shock absorbing Insoles!!! 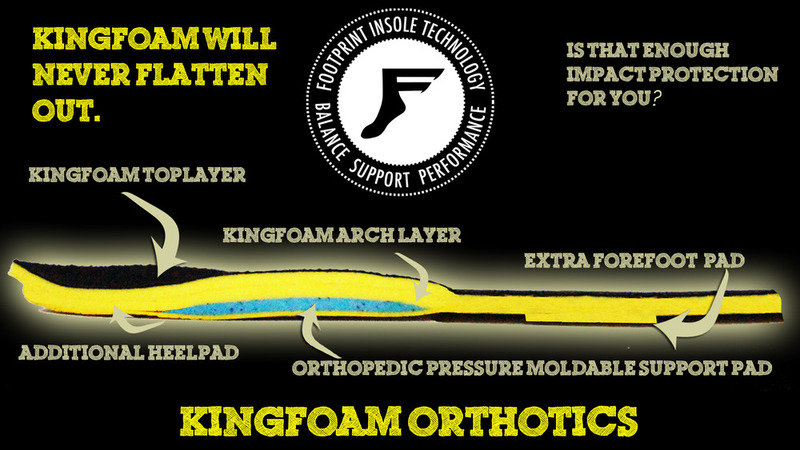 Footprint insoles "Kingfoam Orthotics" Technology Demonstration from Footprint Insole Technology on Vimeo. TGIF #35 - Happy B-Day Jesse! For your birthday you get a TGIF. 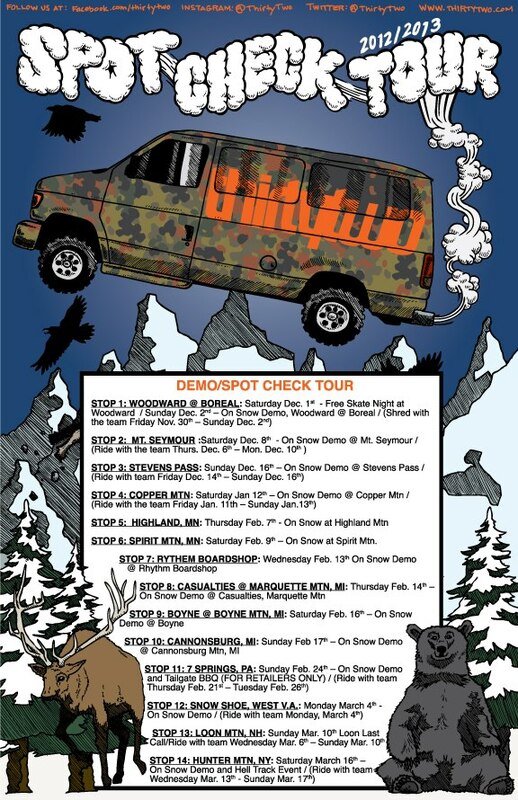 Spot Check Tour this SATURDAY! 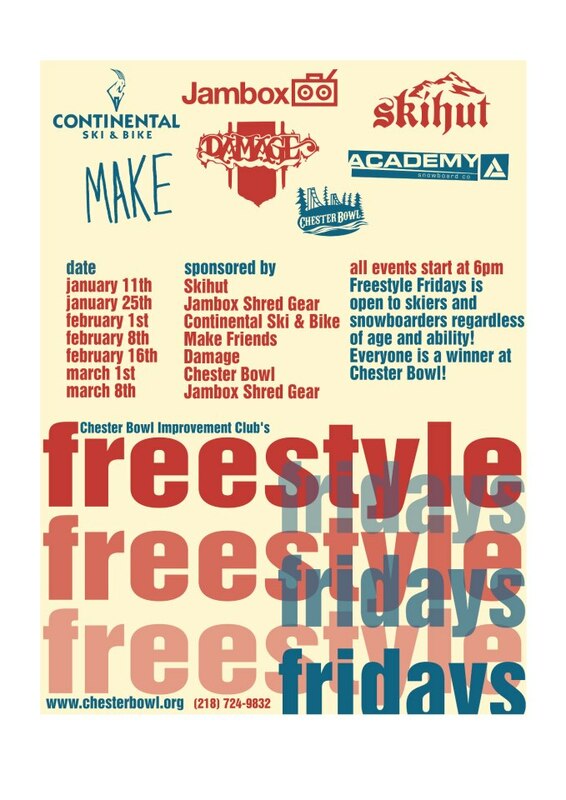 Saturday 11-3 right below the Progression Park at Spirit Mt. Be there or be super square. 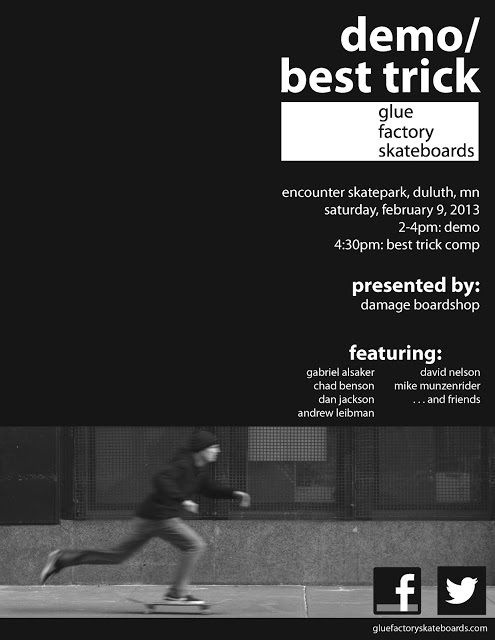 Glue Factory Demo / Contest this Saturday! New Shake Junt and Deathwish gear for all the homies!!! 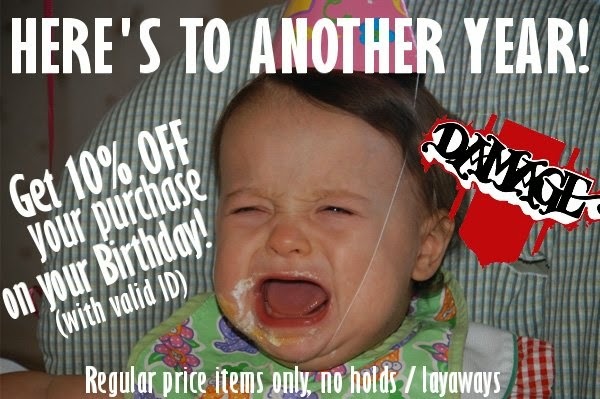 New selection of sizes and graphics from Baker and Deathwish!!! 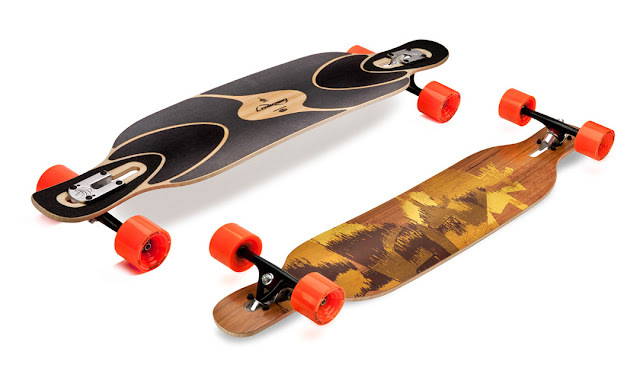 Skate season is coming soon. Are you ready? Fully LOADED and O-Tang Stocked! Orangatang Wheels and Loaded Longboards! 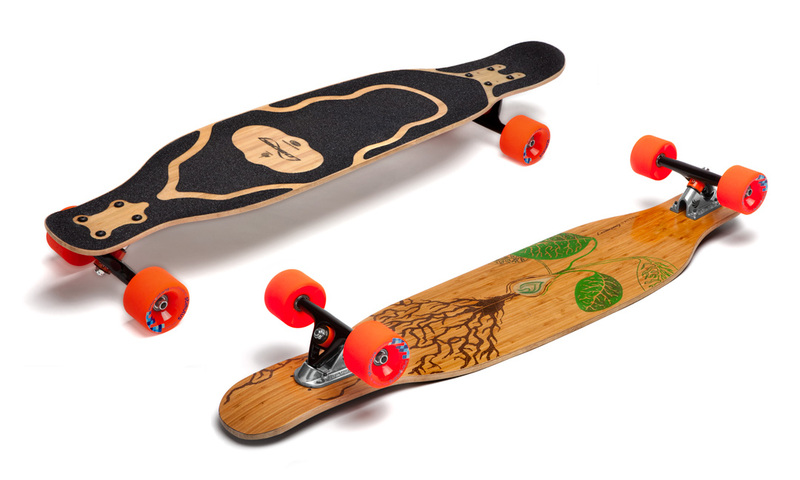 Whether it's speed, slides, or style... Loaded and O-Tang has you covered! Bald-Egal just released the trailer for their 2013 film "Ground Control." Check the madness below and get hyped for Fall 2013! 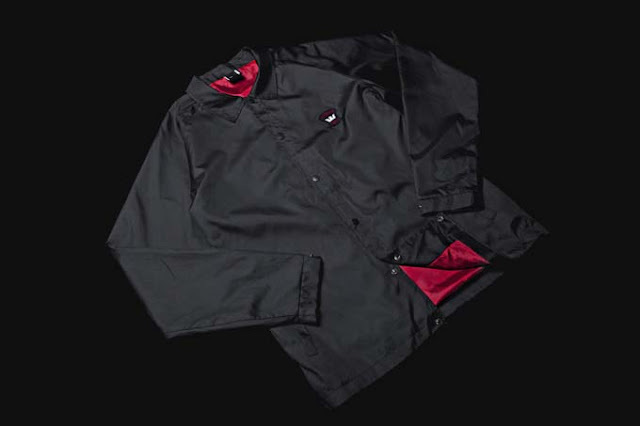 New hats , shirts, and jackets from Volcom!! !